From it’s humble origins in Hawaii to becoming a worldwide phenomenon, the ukulele is having a global revival thanks to artists like Jake Shimabukuro, EmiSunshine and more. 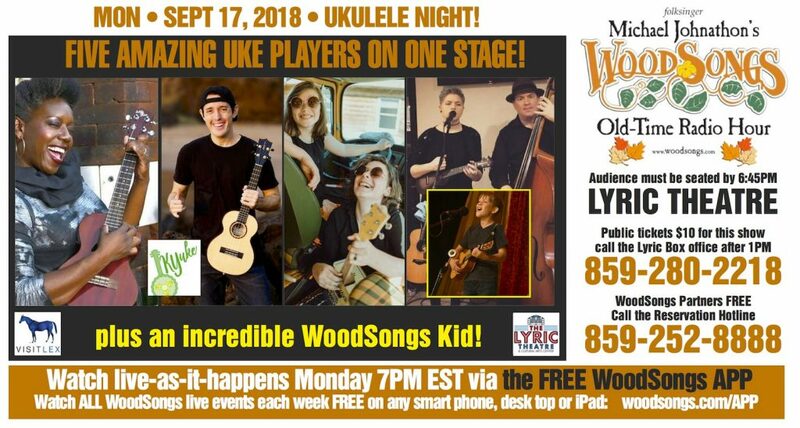 It was a favorite instrument of George Harrison and Eddie Vedder called it “an activist instrument.” On this broadcast of WoodSongs, we’ll be exploring the many styles, sounds and stories of the uke with musicians from across the country. Special thanks to our friends at the 2018 Kentucky UKE Festival!